Inland Project was founded in 2016 by ASC artists Flora Bradwell and Sylwia Narbutt in response to the lack of affordable art space in London. They curate visual arts publications that can be taken apart to become exhibitions, making exhibiting visual art a more affordable and accessible activity. Inland is committed to supporting diverse emerging arts talent and fostering lasting networks between emerging artists, curators and art organisations. We have had two editions to date: Erasure and Neither. In 2017 Inland received Artist Development Funding from ASC. Inland has built relationships with 198 Contemporary Arts and Learning, Centrala, Birmingham and APT through holding one-off exhibitions and events with them, both within the traditional exhibiting space of the gallery and also in the less traditional public sphere on their external walls. In 2017 they collaborated with Smart Heart, working with a group of local 16-17 year olds. 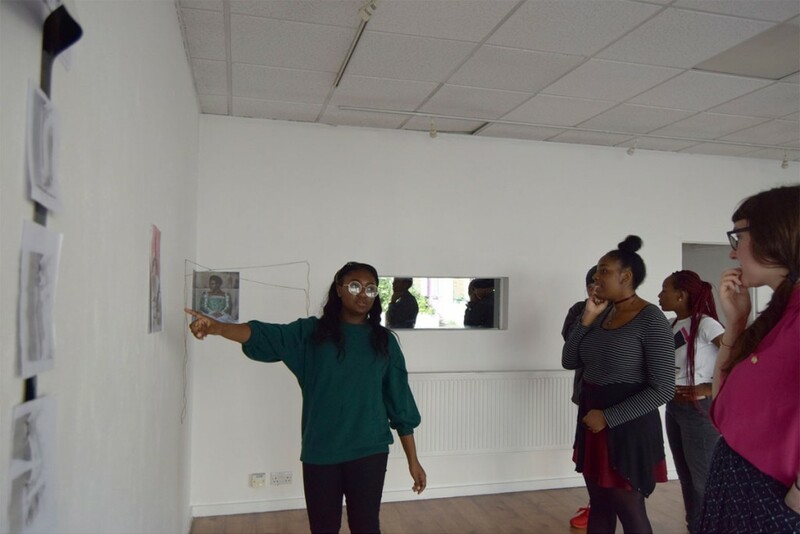 Through three workshops the young people learned to own the project, curating an exhibition using the pages of the publication at 198 CAL. This culminated in a successful cross arts event, which parents, teachers, artists and members of the art community attended. To date Inland has engaged with more than 2,500 people via workshops, exhibitions and social media. We have collaborated with over 35 artists and writers, together creating a platform where artists and the public can converse, curate and challenge each other.